Individuals belong to several communities at once, and have loyalties and relationships at many different levels. This was true – and perhaps more so – a hundred years ago. 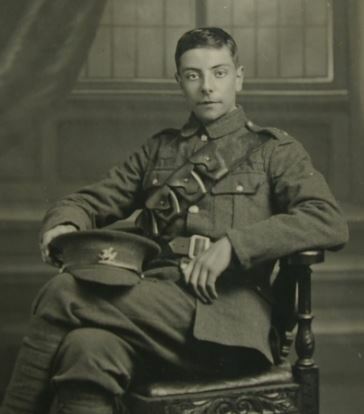 A young man who went off to war in 1914-18 might have his presence missed in different ways by the communities of which he was part – besides, clearly, the impact upon his immediate family. Thus individual soldiers and sailors can be commemorated on more than one memorial. In fact, most of the Welshmen who fell in the war will have their names remembered on at least two memorials. 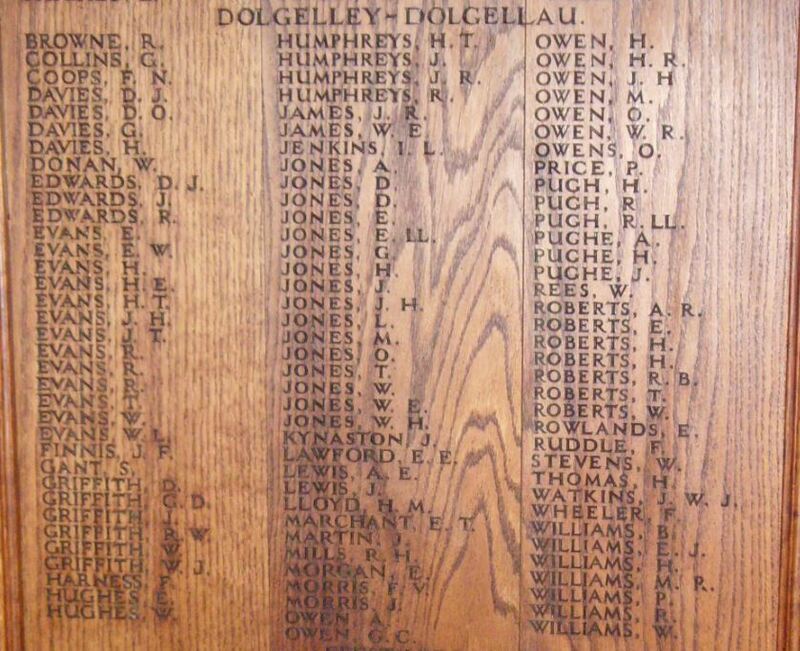 To give one example that has been considered in an earlier blog post, the 11 men from the Rhydymain area who were killed in the First World War were commemorated on memorials in two chapels, and all bar one of them are named on the Dolgellau memorial. In addition; the fallen from north Wales are also named on the ‘Memorial Arch’ in Bangor; all dead Welsh servicemen should be named in the ‘Welsh National Book of Remembrance’; all British casualties should be found in the volume ‘Soldiers Died the Great War’; and all the Commonwealth dead are commemorated by the Commonwealth War Graves Commission (CWGC). 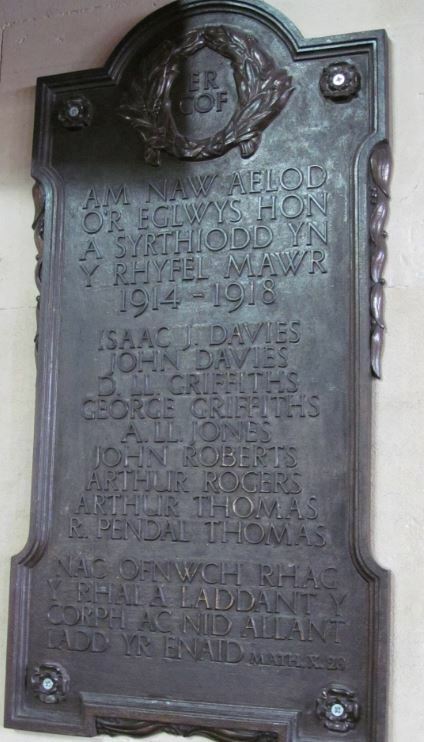 Of course, given that so many Welshmen had common surnames, it is not always possible to be certain whether the Jones, Williams or Evans commemorated refer to the same individuals. When the serviceman had a less common surname, the job can be easier. 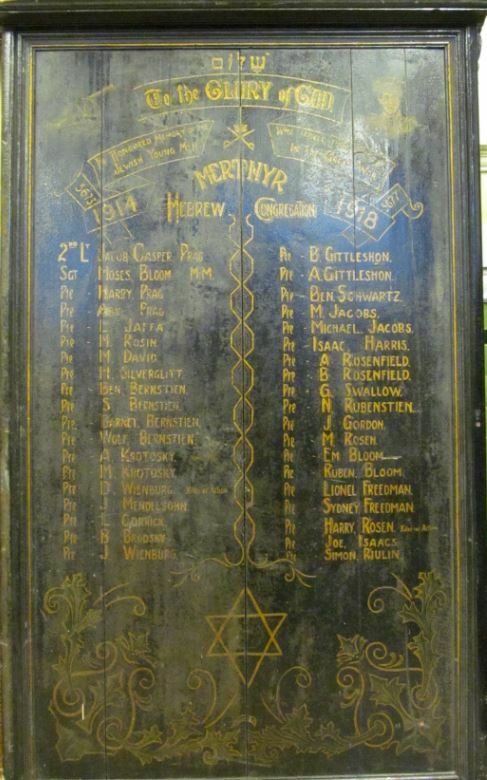 Harry Rosen is commemorated on both the memorial of his place of worship – the synagogue in Merthyr Tydfil – and in his workplace – the Crawshay Brothers Mountain Levels and Steelworks. (Both of these magnificent memorials are now held at the Cyfarthfa Castle Museum). There are only two ‘H. Rosen’s listed on the CWGC database, and it is clear that the Merthyr Rosen served with the Royal Naval Division and was killed on the final day of 1917. 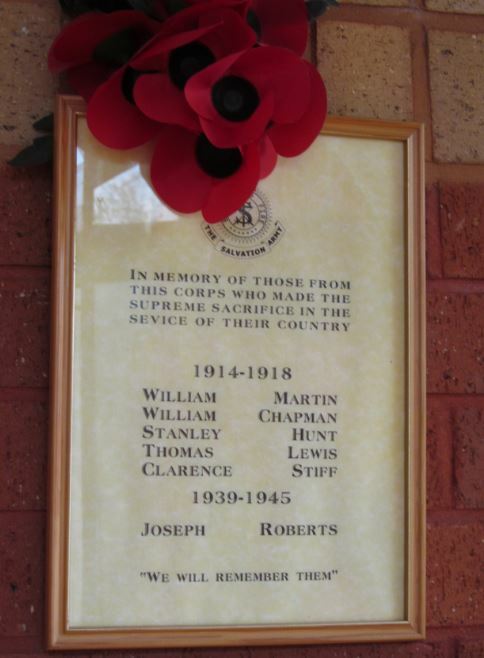 Clarence is commemorated on three different memorials in Cwmbran. Wooden boards in St Gabriel’s Church list the names of 86 men of the parish who were killed, including Clarence. 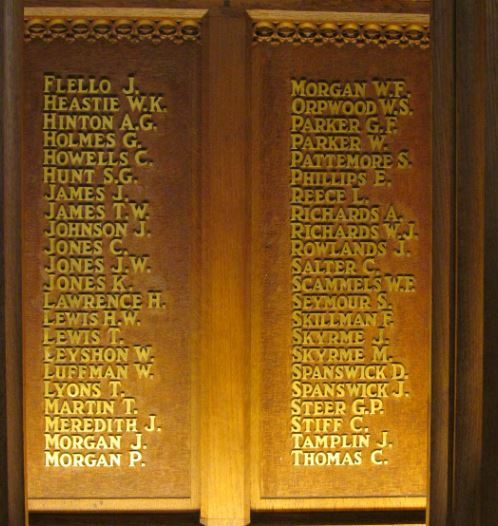 His name is also among the five WW1 casualties commemorated in the Salvation Army Hall on Wesley Street. 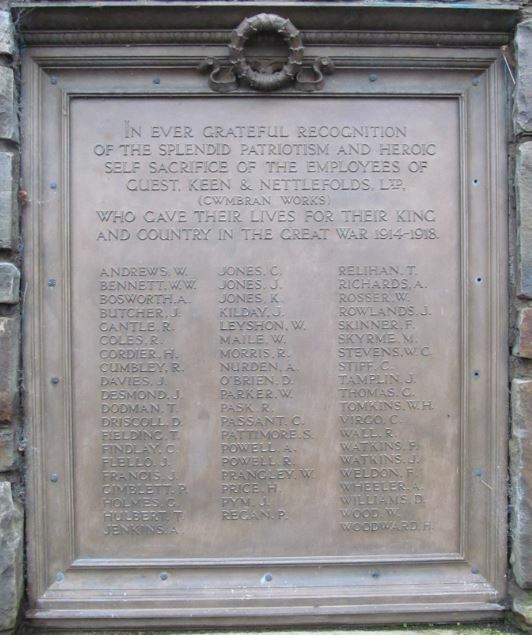 Also, he is commemorated by his employers, the Cwmbran works of the Guest, Keen and Nettlefolds Company (who, as explored in a previous blog post, created memorials in their numerous workplaces around South Wales). Sometimes an unusual first name is enough to be able to make a connection. 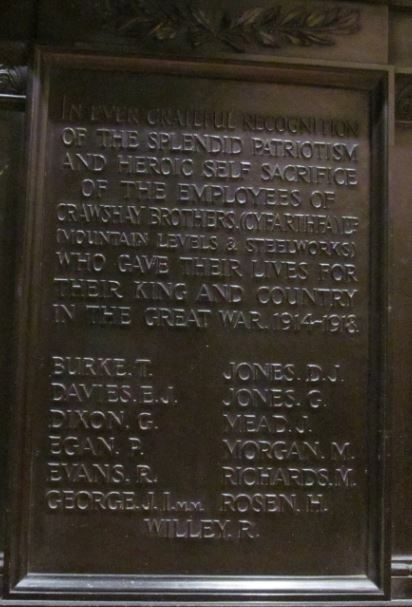 There is a Pendal Thomas, engineer, named on Pontardawe’s WW1 memorial. 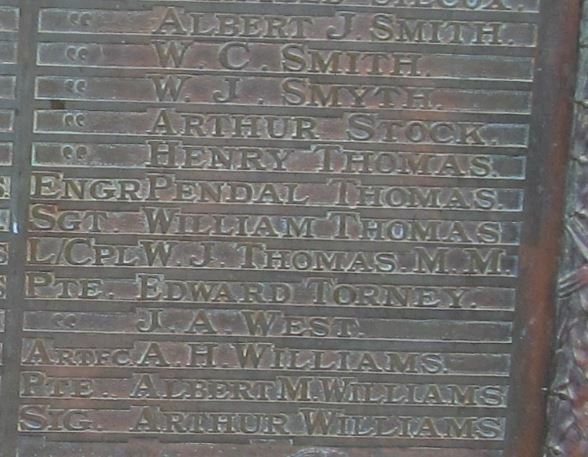 There is an R Pendal Thomas named on the memorial at Cardiff’s Pembroke Terrace Calvinistic Methodist chapel (now converted to be a restaurant). There is no Pendal Thomas listed on the CWGC database, but there is a Robert Pendrill Thomas, third engineer, who died on board S.S. Bayronto on 30 July 1918. The database notes that his parents were Hannah and Robert Thomas of Pontardawe. Thus there is no doubt that the same man is commemorated on the Pontardawe and Cardiff memorials.